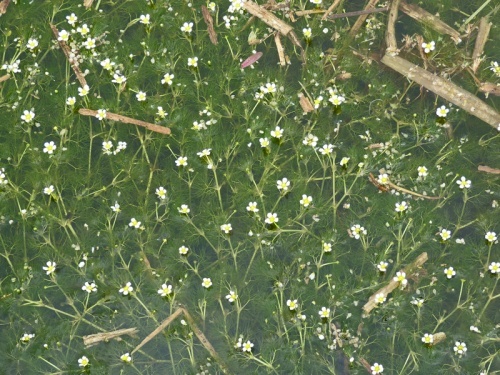 The flowers are white with yellow centres and are 7 to 12 mm across. All leaves divided into threadlike segments. 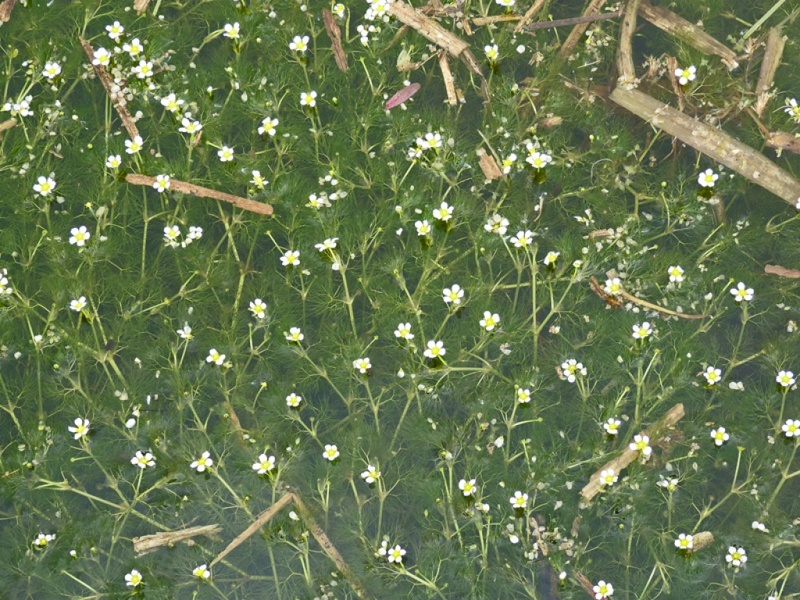 Ponds, pond edges and rivers. Fairly frequent in Leicestershire and Rutland. 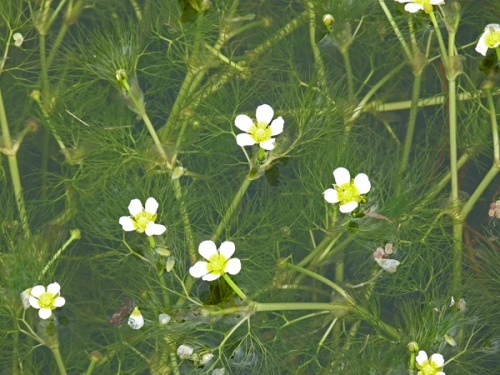 In the 1979 Flora survey of Leicestershire it was found in 43 of the 617 tetrads.